No. 2. McClane of Duart tartan. Daniel was taught to play the pipes at the age of 13 in South Africa, where he played at a high standard in both junior band and solo competitions. 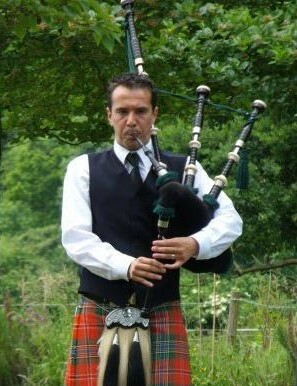 Since returning to the UK he has continued to compete at RSPBA Grade 3 and 4 level. Daniel plays many traditional piping tunes and also enjoys performing contemporary piping music that has become popular over recent years. Daniel has been Pipe Sergeant of the Rose and Thistle Pipe Band for many years and has a real passion for piping and performing. 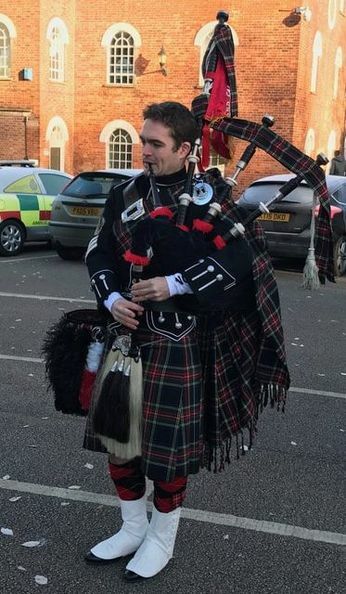 Daniel currently holds a Level 5 SQCF qualification in piping theory and performance, and continues to receive regular lessons with his tutor in Glasgow.